Dr. Nancy Gaines-Dillard, DNP, AGACNP, FNP-BC. Dr. Nancy Gaines-Dillard, DNP, AGACNP, FNP-BC, has over 21 years of varied experience to include: Family, Emergency, and Acute Care Medicine. 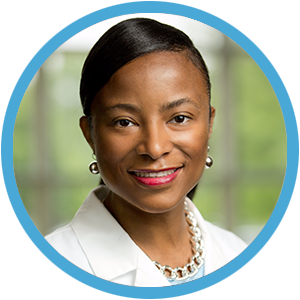 Dr. Gaines-Dillard has a unique perspective on healthcare modalities in that she is creative and progressive in the delivery of healthcare practices. Her philosophy is such that she empowers her patient population by personalizing care and relationship building that improves health outcomes. She is a pioneer in her own right and wants to help heal the world one patient at a time. Dr. Gaines-Dillard's plan is to continue to create knowledge generation, that leads to innovative ideology in the improvement of the healthcare delivery system, ultimately providing positive, holistic, safe, cost effective, quality healthcare to all. As medical director of Liquivida - Arizona, LLC she will oversee and supervise the centers, (Liquivida Lounge) administration, clinical performance of all personnel with clinic privileges and educational functions to include the implementation of planned and systematic processes for monitoring the quantity, safety and appropriateness of all services provided by the center.